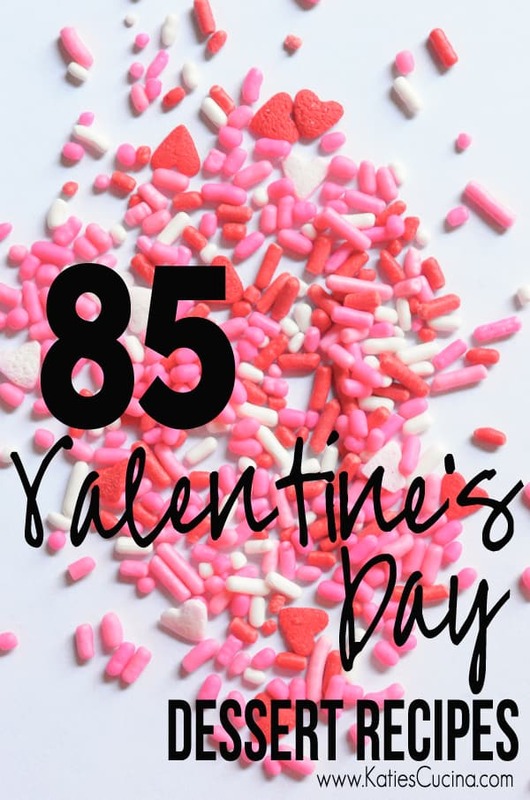 Valentine’s day is this Friday, so what better way to prepare you for the holiday of “love” than to share a round-up of 85 Valentine’s Day Dessert Recipes. I’ve always had a sweet tooth, and now being pregnant, its amplified times 10. I find myself needing a dessert after every meal (including breakfast). And for those who might be concerned–yes, I passed my glucose test on the first try! So, whether you need to make a dessert for your son or daughters classroom or you want to surprise your family (or significant other) with an after dinner treat (or maybe even a lunch box treat), this list will have you prepared for the end of the week! Wow! That’s an impressive list! What a great round up! My sweet tooth is going gaga! Thanks Caroline! I want to make them ALL!